Things aren't what they seem on the top floor of the South Coast Tower, a.k.a. The Orange Curtain, so named because of its glassy veneeer that reflects the sun, a fifty-story apartment building located in ritzy Newport Beach, California. A violent murder takes place in penthouse 5008, prompting an investigation by Lieutenant Detective Max Cusini and his partner, Detective Jimmy Sanchez. And what begins a lone murder quickly unfolds into a string of serial killings inside this upscale building that not only confounds Detective Cusini's skills as a veteran sleuth, but also stirs from his past certain haunts that he's been running from for the last six years. 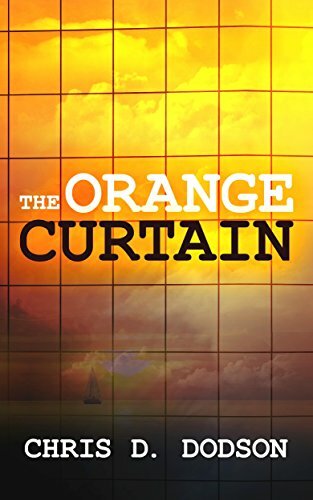 Cusini's only hope in solving this case is to negotiate a taut relationship with the Tower's two most eccentric tenants: a Mr. and Mrs. Capote, two novelists who know a lot more about these murders--the Orange Curtain's cryptic gallery of tenants--than they should. That is until Detective Cusini finally decodes the crytic message. A gripping psychological thriller, pitting two noble detectives against an obscure killer.